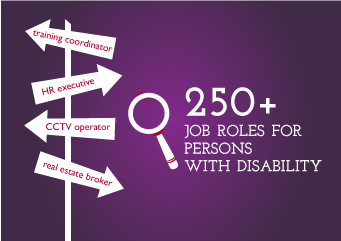 Do you know there are 150+ different type of jobs for deaf? 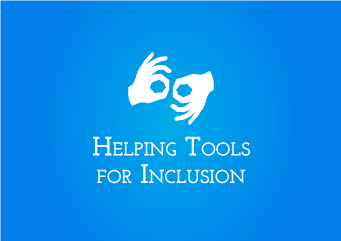 Do you know what jobs are available for deaf? 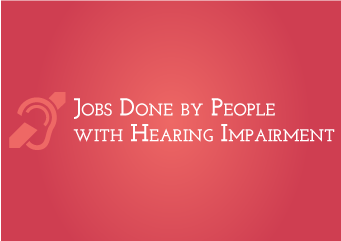 What jobs deaf can do? Step 1 - Do you know what jobs are available for deaf? Many companies give job to deaf. Companies want deaf with good skills and attitude. Watch this 1 minute video to know steps to get job. 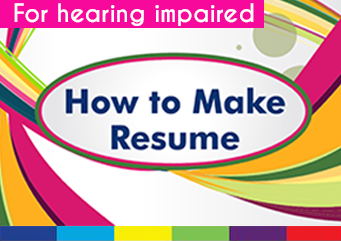 Watch video of three deaf and understand how they got job. Watch this 2 minutes video to understand what Rajeev did to get job. Watch this 2 minutes video to understand why Boney accepted job for Rs. 1200 per month. Step 3 - What jobs deaf can do? Watch this short video to understand why you must know about company before interview. Step 1 - Do you have problem in job? Do you find hard to communicate with hearing team? Don't worry. Many have the same problem. Watch this 2 minutes video to know about common problems at work. Every problem has solutions. Learn from the video how to solve problems. 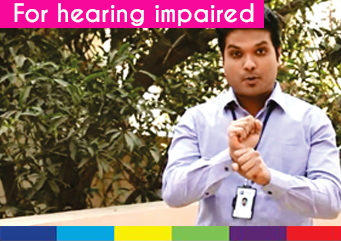 Watch this 2 minutes video to learn how Rajeev communicates with his hearing team members. Watch this video to see what Rajeev manager feel about Rajeev. 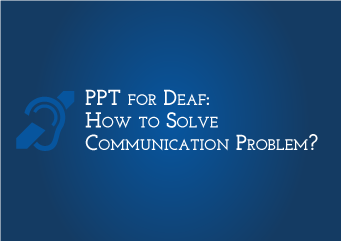 Download this file to learn how to solve communication problems at work. Step 3 - Why hearing people feel hard to communicate in sign language? Do you know hearing people use different languages like Hindi, Kannada, English to communicate? Hearing people are more comfortable to communicate by speaking. 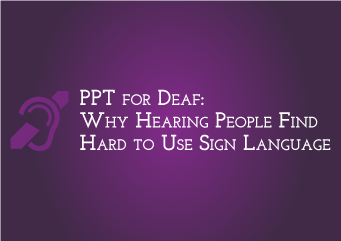 Download this file to understand problem hearing people have to use sign language. Step 4 - How can I solve problem? You can solve your problem if you take responsibility of that problem. 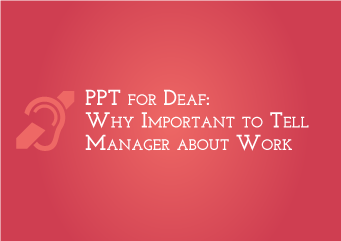 Download this file to understand why it is important to keep manager informed about work. 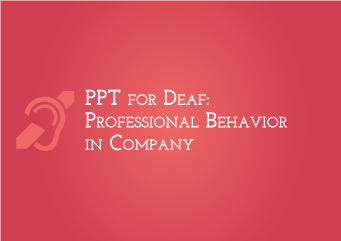 Download this file to learn professional behaviour in company. Watch this video to learn different solutions for communication at work. Download and share these files with your team to help them understand how you communicate. Step 1 - How to plan for interview? Planning for interview means what documents to take, how to answer questions and how to behave in interview. Watch this 2 minutes video to know what expert tell about planning for interview. Step 2 - What body language must have in interview? When you have good body language, company manager think good about you and give respect. Watch this 5 minutes video to learn what is good body language. Step 3 - How to answer interview questions? Learn how to answer questions in interview by watching these videos. Learn how to answer How much salary you want? Step 4 - What is important to know about company? Before you apply for job, you must know about company. This helps you to know if you match to company. Now you got knowledge about interview and company. Now practice to get ready for interview. 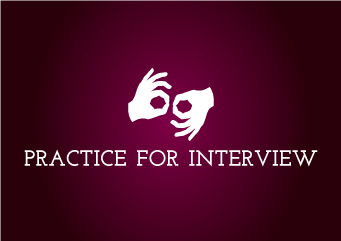 DOWNLOAD this file and practice for interview. Learn how to make resume.